Meanwhile, the King died, and the last Bourbon King of the Two Sicilies was his son, Francis II, little Francis or "Franceschiello". He was more of a priest than a king, and when the news arrived of Garibaldi landing in Marsala, Franceschiello was deep in prayer and nobody dared to disturb him. On April 4th, 1860 a few courageous Sicilians started rioting in Palermo, and 13 of them were killed by the Bourbon soldiers. 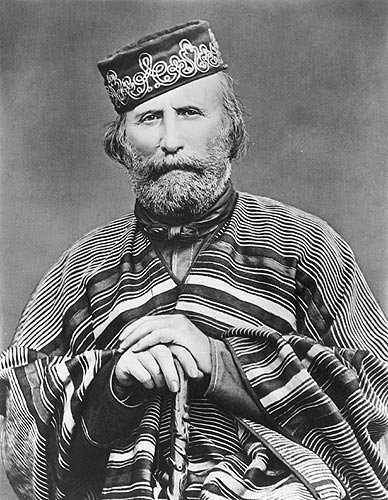 Soon the revolution spread out all over the island, and Giuseppe Garibaldi landed in Marsala on May 11,1860. The so-called "picciotti" or Sicilian rebels, together increased the tiny number of the Garibaldians, and together they won their first victory at Calatafimi. The battle was very long and difficult with more than 500 Garibaldians killed by the Bourbon machine-guns placed on top of the hills. Here Garibaldi pronounced the famous words: "Qui si fa lâItalia o si muore", here we either make Italy or we die! On July 20th, the whole island was free. For the people Garibaldi became a legendary hero, brother of Santa Rosalia, the Patron Saint of Palermo. From Palermo, Garibaldi went to Naples and conquered it. Poor Franceshiello had to leave his Kingdom after just one year! On December 1st, 1860, King Victor Emmanuel II of Savoy arrived in Palermo, and once more the Sicilians enthusiastically greeted their King. Antonio Mordini, a member of the Palermitan Government, handed over to him an almost absolute majority of referendum results: Sicily was going to be annexed to Piedmont. But the Sicilian suffering was not finished yet. Many problems had to be faced immediately, like plundering and recruitment into the Italian army, which was considered a new imposition by "foreign people". Moreover, the awful conditions of both the economy and agriculture needed a quick solution. The Northern industries took up a dominant position over the South, and Sicily remained a long way behind the rest of Italy. Emigration started all over the island, and Sicily was then one of the main areas of emigration in the world. Uprisings became more and more violent, and in 1931 40% of Sicilians were still illiterate.